It was a perfect day for racing on San Francisco Bay. 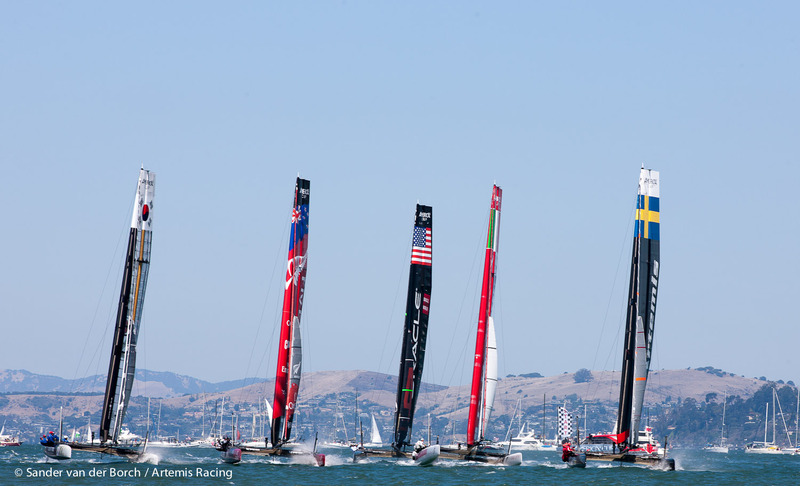 ORACLE Team USA's two AC45s lined up for the Match Racing Finals. It was America's Cup legend Russell Coutts who won the start off teammate Jimmy Spithill, and sailed a perfect race to win the title. 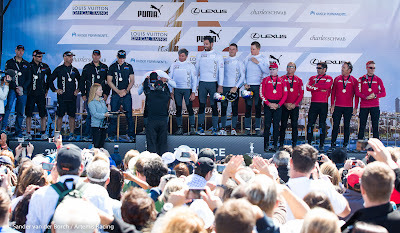 In the Super Sunday fleet race, Skipper Terry Hutchinson had a brilliant start and led the fleet for the first three legs before catching an anchor rode on the downwind near Fort Mason which cost Artemis Racing - White valuable places. 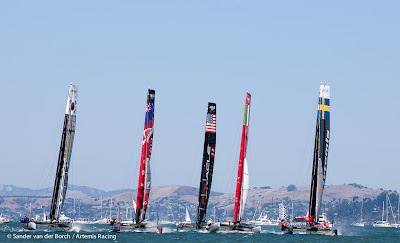 Luna Rossa - Piranha moved into the lead and stretched to win, with ORACLE Team USA - Spithill just a split second behind. Artemis Racing - White wrapped up the event 3rd overall in the Match Racing and 6th in the Fleet Racing, while Artemis Racing - Red was 9th in the fleet racing. "Some highlights followed by some lowlights, unfortunately. So, we have to continue to trust in ourselves and trust that we have the right process in place. We put a lot of effort into getting off the start line leading up to this event, but all in all a bit disappointed having had the start we had today. 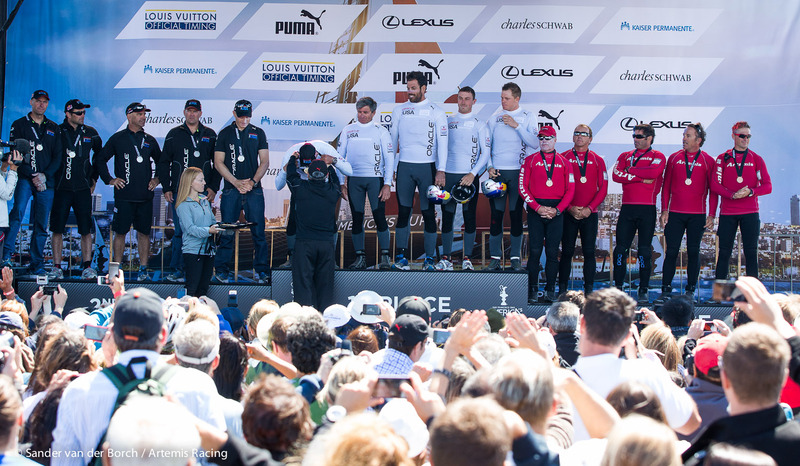 There's a lot of work to do and I can't say enough about the effort onboard," said Hutchinson at the conclusion of the America's Cup World Series - San Francisco. The sailing team returns tonight to Alameda where the design and shore teams are putting the finishing touches on the Artemis Racing AC72. 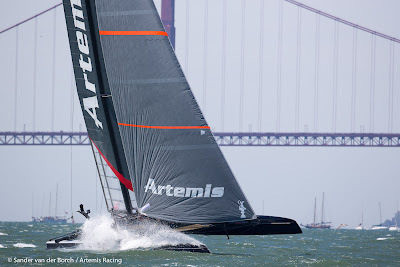 AC45 action will return to Marina Green from 2-6 October for the next Ameria's Cup World Series event, which takes place during San Francisco Bay's famous Fleet Week.